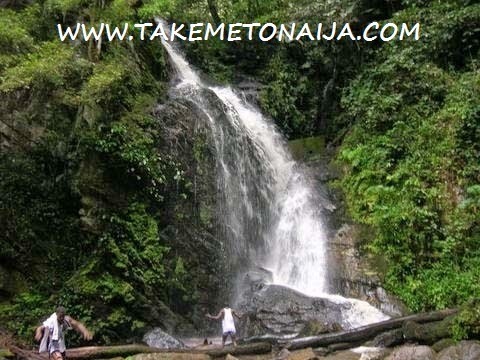 Erin Ijesha or the Olumirin Waterfall is one of natural wonders of the world. It is located in the Osun state of Nigeria. At the outset, you will find nothing unique, but as you climb the uphill plain, which is on seven levels, you will have breathtaking views of nature, boundless amount of nature stored. At all the levels, the views are spectacular; you will also find the water refreshing. However seventh level is somewhat difficult to climb. You will find the third level equal to trudging the snow-white sharp Mount Everest. The seventh pale is a wonderful; you will be at the peak of the waterfall. It is also a settlement for the ancient inhabitants for a number of years. The cascading waterfall amidst the soaring mountains, gives a blend of wildlife with tranquility. The Erin Ijesha is also home to the fresh water prawns, belonging to the Atyidae, aridea family, and genus Caridina (genetic terms). The walls of a massive rock cleft is rugged in verdant colours; and although the day is as the night, and gracious vegetal canopies roof the rift, yet, forest, man and rock stand in sharp contrast, all floodlit by the vestal showers of Olumirin Waterfalls. The awe-inspiring falls, also known as Erin-Ijesha Waterfalls is an assemblage of seven distinct cascades located on the south western slopes of the lush Effon Ridge, in Erin-Ijesha town, Osun state. The gigantic Ridge constitutes a conspicuous eye-catcher for every traveler along the Ilesa-Akure expressway, as it towers into the distant skyline, forming a spectacular backrest for the sleepy towns of Erin-Oke, Erin-Ijesha and Erinmo. The people of Erin-Ijesa believe that the waterfalls exude from a big pot located at the top of the ridge. Often times, first time tourist at the waterfalls unconsciously starts to number the waterfalls from the last drop (the base of the ridge) as it is the first of all the falls to be encountered when visiting; whereas the numbering is supposed to be from the top. Nevertheless, going by layman’s standard, the seventh drop of the waterfalls is the first waterfall. The first cascade plummets through a narrow opening in a cluster of luxuriant tree trunks blanketed in dark green leafage, down a steeply folded rock face of about ten meters in height. Like a rain of a million limpid pins, the showers descend and inundate s huge boulder reposed at its plunge pool below. Fallen logs of wood laid dank in the pool and out-flowing stream channel. The air hung muggy with a heavy smoke of splashed water droplets. The sight sparks the first fire of excitement that pervade the veins of any visitor at the falls. The refreshing ambiance is further thickened when one ascends the steep rocks to explore the other stages of the waterfalls. The second cascade is the most gigantic of all, with the waters diving down a 40m-high cliff. The copious plunge is most spectacular in the rainy season when the stream channel is at its flooding levels. Its plunge pool forms a shallow swimming pool for visitors at the site who are lucky and brave enough to get to the second fall. The climb up the waterfalls is quite intimidating and arduous, as there are no steps constructed or clear paths made up the ridge slopes, except depressions and projections on the surface, as well as roots and branches of huge trees, forest climbers and shrubs along the paths, which serves as hand and foot holds for the adventurous tourist. Nevertheless,the ascent of the enormous ridge is most rewarding, as one is treated to dazzling and panoramic vistas of the surrounding landscape, depicting the true natural beauty of the Nigerian landmass. Another great attraction at the waterfalls, is the Abake village, a rustic enclave located at the top of the colossal ridge. The name “Abake”, is a Yoruba word which is a combination of two other Yoruba words: “Aba” “Oke”, meaning “the village on the top”, suggesting the location , of the small village. A tourist ascending the ridge from the waterfalls, will have to climb for about one hour before getting to Abake settlement. The village is said to be in Effon Alaaye local government, hence the villagers refer to their settlement as Effon Alaaye (Ekiti State). The village basically consists of mud houses and the main occupations are farming, gari processing (using local method), cocoa cultivation and moi moi leaf cultivation as they are found in great numbers on the ridge. The enclave suffers from inaccessibility of good roads, lack of electrical supply, poor water supply, lack of hospitals, clinics or health centers etc. Despite the indigence of the people. They are ever convivial and ecstatic to see people beat the heights of the enormous ridge in order to visit their remote enclave. Exciting activities at Erin-Ijesha waterfalls tourist resort includes: Swimming, base jumping (new potentials), rock climbing; bird and game watching etc. 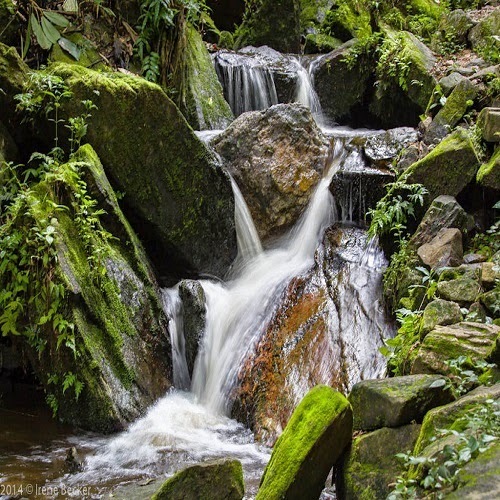 More tourist facilities such as good road, tourist chalets, electrical supply, escalators and steps up the waterfalls etc., if provided will place Olumirin Waterfalls on the pedestal of one of the choicest tourist resorts in Africa. TIN MAGAZINE CURRENTLY WORKING ON GETTING THE HISTORY ATTACHED TO THIS ATTRACTION CENTRE. EXPECT TMTN’s Visit to Erin Ijesha Waterfalls Soon.